Question: How do I setup captcha for contact forms created by the Contacts Component in Joomla 3.0? By default, there does not appear to be any settings within the Joomla 3.0 Contacts Component that deal with captcha setup. If you want to setup captcha for your contact forms, simply setup the captcha settings in Joomla's global configuration and they will automatically be applied to your contact forms. 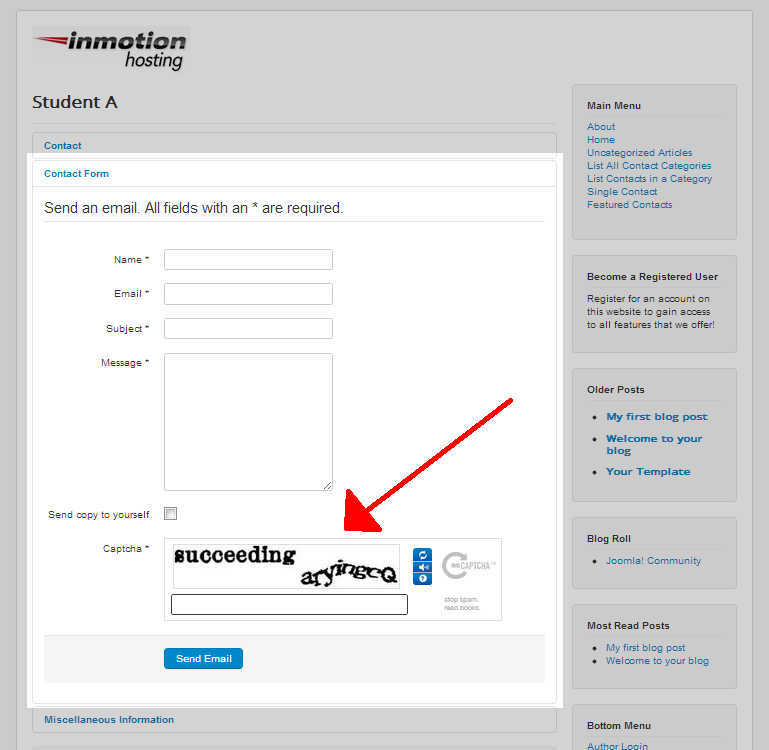 The screenshot to the right shows what your contact forms will look like once a captcha plugin, like recaptcha, is configured.